Condominium units of Condominiums without EIA Approval cannot be transferred to purchasers / buyers. Development projects require EIA reports pursuant to Section 46 and Section 51 of the Enhancement and Conservation of National Environmental Quality Act B.E. 2535 (A.D. 1992). Encompassed in Section 49, which mandates that permission to proceed with the project / development / business be withheld by the relevant authorities until EIA approval is obtained. 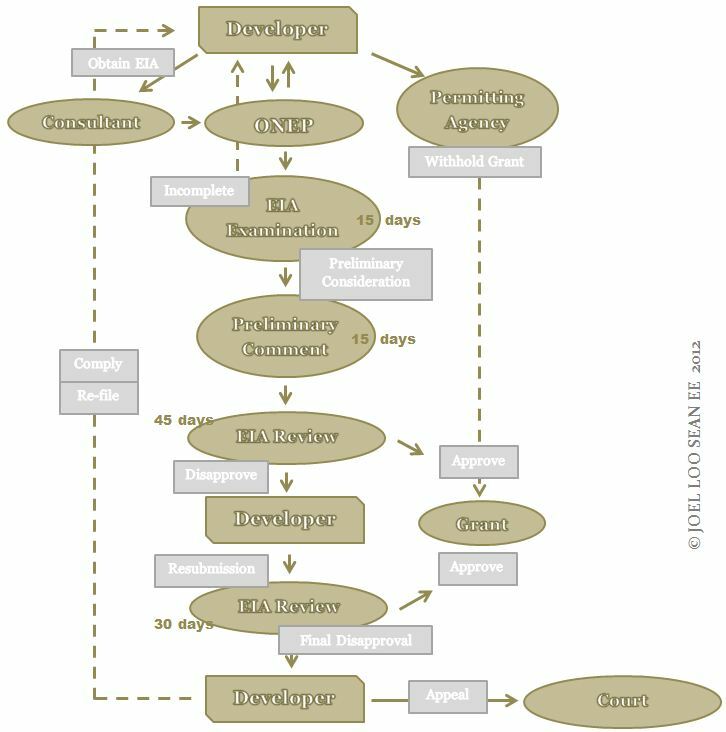 Subsequent to application, a Consultant registered with the Office of Natural Resources and Environmental Policy and Planning (“ONEP”) must be requested to prepare the EIA which will then submit the same to the latter which will evaluate the EIA report and therefrom lodge the same for evaluation by a ‘committee of experts’ (Expert Review Committee). Screening is the determination of whether an EIA is needed, taking into account the magnitude of potential environmental impacts. In Thailand, the lists of projects / activities issued from time to time under the Act is the preliminary screening filter used to identify projects / activities requiring EIAs. Scoping is the focusing of the EIA to the significant issues and the identification of the potential impacts requiring assessment. Public Participation is a significant criterion of the EIA, throughout its process enabling Non-Governmental Organizations (NGOs) and relevant agencies that would be potentially affected by the projects / agencies to render their comments and/or experiences which will be duly considered in project development and evaluation. Present environmental conditions with details and photos of natural resources and environment in both physical and biological aspects, classified with capacity for rehabilitation or lack of capacity therefor; human use value; quality of life; as well as describing current problems around the site together supplemented with photos of surrounding area; utilization of land around the site and other areas that may be affected from the project in the short term and long term. Alternative options for implementation of the project – the EIA shall describe such alternative options, which may be an option in terms of an alternative site for the project or the methodology of project implementation. Every proposed option shall be in line with the objective and shall give reasons addressed to the project’s goal and necessity of the project’s existence. Mitigating measures shall be proposed under each option and the most suitable option and justification of the project shall be identified. EIA Reports are composed under 5 headings / aspects. Classification, prediction and estimation of environmental impacts as compared to existing environmental conditions (before and after). Implement preventive & mitigating measures at an initial planning phase toward contributing to the reduction of the cost of rectifying environmental rehabilitation at the later date in the name of sustainable development. Surface environmental considerations into decision-making and project planning. EIA is based on study of environmental impacts of activity in the project and its surrounding areas in interaction with living, non-living organisms and the environment in both the short and long-term. Data from flora, fauna, soil, water, air, human health and employment will be gathered and studied. These factors and criterion vary according to type of project / activity and location. The EIA is essentially a technical assessment, based on theoretical gauge of foreseeable environmental change, capturing the impacts of the project / activity on the environment & natural resources. Mitigating, Preventive & Corrective measures should be recommended to contra the environmental impacts along with appropriate methods to monitor the condition of the affected environment. Alternatives need be offered for consideration such as alternative implementation methodology and alternative sites complemented with comparative studies on project investment and financial return to subsist such measures.